3% of average monthly earnings multiplied by service to 20 years plus 4% multiplied by service over 20 years with a maximum of 80% of average monthly earnings. The full 80% is earned at 22 years of service (resulting in a 12% of earnings increase in benefit at the moment the member attains 22 years of service). 3.3% of average monthly earnings multiplied by service earned up to September 30, 2011. 3.0% of average monthly earnings multiplied by service earned on or after October 1, 2011. The average of the highest three consecutive years of compensation prior to retirement or termination. Earnings include basic annual wages including regular longevity raises and overtime up to 400 hours per year, but not including amounts for unused sick time or unused vacation time paid at retirement or termination. The average of the highest five consecutive years of compensation prior to retirement or termination. Earnings shall include basic annual wages, longevity pay, and assignment pay, but not including overtime pay, payments for accrued holiday time, payments for accrued blood time, annual “cash-out” payments for accrued vacation time, payments for accrued compensatory time, and payments for unused sick time or for unused vacation time which is paid upon retirement or termination. For a non-service connected disability benefit, the member must become totally and permanently disabled, must have at least five years of service, and must have applied for Social Security disability benefits as well as worker's compensation benefits, if applicable. Greater of monthly accrued benefit or 50% of earnings at the time of determination of disability. 2½% of average monthly earnings multiplied by service, with a minimum benefit of 25% of earnings at the time of determination of disability. The benefit will be offset by any worker's compensation, Social Security, pension, or similar benefit payable to the member or to his dependents. Upon attainment of age 65, the Social Security offset will cease and, upon attainment of age 50, the benefit will be recomputed as a normal retirement benefit with consideration of service granted for the period of time that the member was receiving a disability retirement benefit. 3% of average monthly earnings multiplied by service, with a minimum benefit of 25% of earnings at the time of determination of disability. The benefit will be offset by any worker's compensation, Social Security, pension, or similar benefit payable to the member or to his dependents. Upon attainment of age 65, the Social Security offset will cease and, upon attainment of age 55, the benefit will be recomputed as a normal retirement benefit with consideration of service granted for the period of time that the member was receiving a disability retirement benefit. Ten year certain and Life annuity, with a 50% survivor annuity payable to the spouse until death or remarriage. In the case of a member who dies prior to age 50 (or 55) while receiving a nonservice connected disability, a 100% survivor annuity is payable to the spouse until death or remarriage. Monthly Accrued Benefit. If participant has at least ten years of service prior to October 1, 2011, benefit is payable at age 50. Otherwise, benefit accrued as of September 30, 2011 is payable at age 50 and benefit accrued after that date is payable at age 55. Life annuity with ten years certain, with a 50% survivor annuity payable to the spouse until death or remarriage if the member dies after payment has begun. A member may elect to receive his contributions in lieu of a withdrawal retirement benefit. 50% of earnings at the date of death payable as a monthly life and ten years certain benefit to the spouse until death or remarriage or to surviving children until the youngest child reaches age 18. 25% of earnings at the date of death payable as a monthly life and ten years certain benefit to the spouse until death or remarriage or to surviving children until the youngest child reaches age 18. 8.00% of compensation effective the first full pay period on or after May 1, 2013. Employees electing Reformed Planned Retirement Benefit Option 2 contribute 0.5% of compensation. If a member's service is terminated prior to his becoming eligible for a withdrawal retirement benefit, then his contributions are returned to him without interest. Prior to October 1, 2011, a participant may enter the DROP upon attainment of normal retirement age. When a member enters the DROP, his Monthly Accrued Benefit is frozen based on his average monthly earnings and service at that time and his Monthly Accrued Benefit is paid into his DROP account. Upon termination of employment, but not more than eight years after entry into the DROP, the balance in the member's DROP account, including interest, is payable to him and he also begins to receive his frozen Monthly Accrued Benefit. A member hired on or before September 30, 2009 who elects to enter the DROP plan has the option to receive a rate of return on his or her DROP account that is equal to the assumed rate of investment return on fund assets of 8% per year. For members hired on or after October 1, 2009, his or her DROP account shall earn interest at the rate of six percent (6%) per year. In the event the Plan earnings exceed six percent (6%) per year, the earnings in excess of six percent (6%) up to and including twelve percent (12%) per year shall offset the City’s cost of maintaining the DROP program. Earnings in excess of twelve percent (12%) per year shall be equally divided between the DROP participant and the City. participant who does not enter the DROP prior to October 1, 2011 shall not be eligible to participate in the DROP, unless the member was eligible to retire as of September 30, 2011. Effective September 16, 2015, the existing Planned Retirement Benefit program was replaced by the Reformed Planned Retirement Benefit (RPRB) program. In order to participate in the Reformed Planned Retirement Benefit a member must submit in writing declaring their intent to participate in the program at any time on or after reaching the member’s normal retirement date. For members currently participating in the Planned Retirement Benefit in effect prior to September 16, 2015, an irrevocable election must be made no later than November 16, 2015 on one of the RPRB options described below. As if the member retired when he/she makes the election to participate. As if the member retired when service terminates using service and pay earned after entering the RPRB program. Based on number of years worked after electing to participate. Members may choose any combination of lump sum payments or a larger annuity by dividing the years worked after electing to participate in the RPRB program. Any lump sum payment must be paid out to the member at termination and cannot be left in the plan. The crediting rate applicable to any lump sum payment shall be calculated in arrears equal to 100% of the first 4% of plan earnings plus 50% of plan earnings in excess of 6%, unless the System is 90% funded. If the System is at least 90% funded, the crediting rate will be based on the 100% of the first 4% of plan earnings plus 100% of plan earnings in excess of 6%. The member will not share in asset losses in those years where plan returns are negative. Employee contributions shall be 0.5% of earnings. Monthly Benefit is calculated as if the member retired when he/she makes the election to participate. Lump Sum Benefit is calculated based on number of years worked after electing to participate. Lump Sum Benefit can be left in the plan after service termination. The crediting rate applicable to any lump sum payment shall be calculated in arrears equal to the actual investment rate of return of the Retirement System. The member will share in asset losses in those years where plan returns are negative and asset gains when plan returns are greater than the assumed rate of return. If a member is participating in the Planned Retirement Benefit as of October 7, 2015, the member must make an irrevocable election of one of the two options described above by November 16, 2015. If electing RPRB Option (2) the member will receive a refund equal to 7.5% of pay (8% minus 0.5%) for the time he/she participated in the Planned Retirement Benefit and were making 8% contributions. After electing RPRB Option (2) future contributions will be reduced from 8% to 0.5%. A member’s written election to participate in the RPRB will indicate the maximum number of years they may participate in the RPRB and the latest employment termination date. The maximum RPRB period is eight years if the member was vested on September 30, 2011. If a members was not vested on September 30, 2011 the maximum RPRB period is five years. If a member elects to participate in the RPRB, service with the City cannot exceed 30 years. However, if electing to participate in the RPRB a member may terminate employment any time prior to reaching the earlier of 30 years of service or the maximum period of RPRB participation. Any retiree’s whose benefit commences on or after April 1, 1987 and any beneficiary of such retiree will receive a 2% annual increase in benefit payments commencing three years after the retiree's benefit payments have begun. For participants who enter the DROP on or after June 7, 2006, cost-of-living adjustments do not occur while the member participates in the DROP. Adjustments commence the later of the date the participant leaves the DROP and three years after entry into the DROP. For benefits accrued on or after October 1, 2011, there shall be no annual increase in retirement benefits. If the actual asset return of the trust exceeds 8% for any fiscal year, the excess market value return (up to 2%) will be allocated to retirees and beneficiaries based on service at retirement. For retirees, surviving spouses, and other beneficiaries who reached their normal retirement date or entered the DROP after September 30, 2011, no supplemental pension check will be paid. The normal retirement age was changed from age 50 to the earlier of age 50 or the attainment of 25 years of service. The excess (up to 2%) of the actual asset return over the assumed actuarial return each September 30 would be allocated the following January to retirees and beneficiaries based on service at retirement. Monies received as a result of Chapter 185, Florida Statutes, will no longer be allocated to this System but to a separate shares plan (effective in the fiscal year beginning October 1, 2001). The benefit formula was changed from 3% of average monthly earnings multiplied by all service up to 27 years to a 3% rate for service up to 20 years and 4% rate for service over 20 years, with a maximum of 88% of average monthly earnings. Member contribution rate was changed from 7% to 8% of earnings. A minimum service-incurred disability benefit equal to the monthly accrued benefit was added. In addition, this benefit will no longer be offset by worker’s compensation, Social Security or other similar benefits. 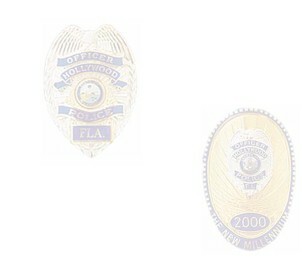 Police officers at least age 41 and with between 21 and 25 years of service by September 30, 2002 were permitted to retire and granted service up to 4 years to be credited up to a minimum of 25 years and a maximum of 27 years, provided they paid an amount representing their own estimated contributions for the grant of service. Normal form of benefit was changed to life annuity with ten years certain, 50% joint and survivor, in compliance with Chapter 99-1 Florida Statutes. The maximum pension benefit was reduced from 88% to 80% of final average salary. The maximum is accrued upon attainment of 22 years of service. Members with 22 years of service are permitted to enter the DROP with a retirement benefit of 80% of final average salary. Maximum DROP participation is eight years for members who enter the DROP with 22 years of service on or after October 1, 2006. However, the maximum City service (including service while in the DROP) is limited to 30 years. Overtime hours were capped at 400 hours per year. Member contributions were increased from 8.0% to 8.5% of pay. For participants entering the DROP on or after October 1, 2006, Cost-of-living adjustments do not occur while the member participates in the DROP. Adjustments commence the later of the date the participant leaves the DROP and three years after entry into the DROP. The life and 10-year certain benefit as the normal form of payment is retroactive to October 1, 2000. State tax premium distributions (185 Monies) after October 1, 2006 will be used as an offset to the City contribution requirements, not to exceed the annual cost of the benefit improvements. Any future State contributions in excess of the annual cost of the benefit improvements will be accumulated and used for future benefit improvements. Also, the accumulated State excess contribution of $81,376 as of September 30, 2006 will be used to offset the cost of the proposed benefit improvements. Member contributions were increased from 8.5% to 9% of pay. For members hired on or after October 1, 2009, his or her DROP account shall earn interest at the rate of six percent (6%) per year. In the event the Plan earnings exceed six percent (6%) per year, the earnings in excess of six percent (6%) up to and including twelve percent (12%) per year shall offset the City’s cost of maintaining the DROP program. Earnings in excess of twelve percent (12%) per year shall be equally divided between the DROP participant and the City. Member contributions will be increased from 9% to 9.25% of pay. The benefit structure in effect on September 30, 2011 is frozen at midnight. All members will be vested in benefits accrued to date and payable under the terms and conditions of plan provisions then in effect. Except for members eligible to retire on September 30, 2011, effective October 1, 2011, all members are subject to a new benefit structure applicable to future service. None of the benefit changes will apply to members eligible to retire on September 30, 2011. Under the benefit structure effective October 1, 2011 Average Final Compensation means the arithmetic average of earnings for the 60 highest consecutive months of the last 120 months of credited service prior to retirement, termination or death. Under the benefit structure effective October 1, 2011 earnings shall be the sum of the following amounts actually paid to a member: Salary, longevity pay and assignment pay. Earnings shall not include overtime pay, payments for accrued holiday time, payments for accrued blood time, annual cash-out payments for accrued vacation time, payments for accrued compensatory time, and payments for unused sick time or for unused vacation time which is paid upon retirement or termination. A member hired prior to October 1, 2011 with less than ten years of credited service as of September 30, 2011 and a member hired on or after October 1, 2011 may retire on the day he or she attains age 55 and completes ten years of creditable service or on the day he or she attains age 52 and competes 25 years of creditable service. A member with 10 or more years of creditable service as of September 30, 2011 shall retain his or her current normal retirement date. The monthly retirement benefit shall equal 2.0% of average monthly earnings times years of service earned on or after October 1, 2011. If the member retires before attaining age 62, an additional benefit equal to 0.5% of average monthly earnings times continuous service on and after October 1, 2011 shall be paid to age 62. A member who does not enter the DROP prior to October 1, 2011 shall not be eligible to enter the DROP, unless the member was eligible to retire as of September 30, 2011. Members of the System shall contribute 9.25% of their earnings. There shall be no annual increase (COLA) in retirement benefits under the benefit structure effective October 1, 2011. The supplemental pension distribution shall be payable only to retirees (and surviving spouses and other beneficiaries thereof) who reach their normal retirement or enter the DROP on or before September 30, 2011. The multiplier increased to 3.3% for service up to September 30, 2011 for vested members on September 30, 2011 and 3% for all members for service after September 30, 2011. The Planned Retirement Benefit was added retroactive to October 1, 2011. Employee contributions were reduced from 9.25% to 8% of pay effective the first full pay period on or after May 1, 2013. Remove “And” language from the requirement of age of 52 and 25 years of service for a normal retirement for members not vested on September 30, 2011. Those officers would be eligible for normal retirement at the age 55 and the completion of 10 years of service or the completion of 25 years of credited service, regardless of age. Multiplier increasing to 3.3% for service up to September 30, 2011 for members not vested on September 30, 2011. Reformed Planned Retirement Benefit (RPRB). While participating in Reformed Planned Retirement, contribute 0.5% of earnings as that term is defined in Section 33.126 of the City Code and upon termination only be provided with the first option set forth in Section 33.128(G)(4) of the City Code, which is taking a lump sum payment that would be valued based on the number of years the employee worked after electing to participate in Planned Retirement. For employees who choose this option, any Plan earnings/losses calculated into the employee's lump sum payment shall be based on the Plan’s actual investment rate of return. An employee may enter Reformed Planned Retirement at any time on or after reaching his/her normal retirement date. Employees currently in Planned Retirement will be given 60 days from the implementation of the Reformed Planned Retirement to make their election. If they elect the new option, they will receive a refund of their contribution into Planned Retirement (7.5%). Members electing to participate in Reformed Planned Retirement shall not exceed 30 years of service with the City including any time participating in Planned Retirement, Reformed Planned Retirement or a combination of both. Participation in Planned Retirement, Reformed Planned Retirement or a combination of both shall be limited to 8 years for those with 10 or more years of service as of September 30, 2011 and 5 years for those with less than 10 years of creditable service as of September 30, 2011. If a member terminates with less than 10 years of service, the member will receive a refund of contributions without interest, instead of the current 3% interest. Police officers shall become members of the Retirement System and begin contributing into the Retirement System upon their hire (currently they begin to contribute upon completion of probation).